Bridge is an impressive and stunning multipurpose theme. Currently the bestselling creative WordPress theme on ThemeForest, this popular WordPress theme powers over 100,000 websites. And a quick glance at Bridge will tell you why. In this Bridge theme review, we discuss the top features that Bridge has to offer, and consider just who could benefit from installing this theme. By the end of reading, you will have a thorough understanding of the numerous features and functionalities that Bridge provides, enabling you to make a decision on whether Bridge is the right theme for your next project. Bridge is an extremely feature-rich WordPress theme created by theme developers Qode. Bridge ships with a collection of 370+ demo sites so whatever your industry or niche, this flexible theme has something to offer. Whether you are looking to create your first blog, set up a profitable eCommerce store, display your work in a stunning portfolio site, promote your business or services via a professional and attention-grabbing website, or something else, Bridge can cater for your needs. Bridge also gives you complete control of the design process and provides a range of options that will allow you to quickly and easily customize any aspect of your website. 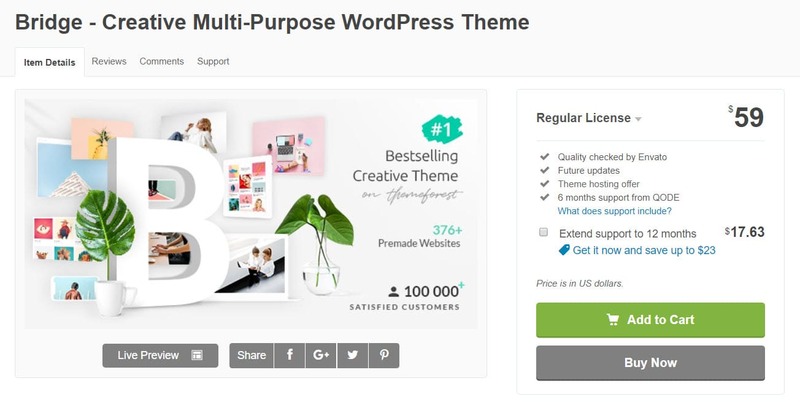 These include numerous theme panel options, a wide assortment of modules and elements, a selection of premium plugins, and access to the effective drag and drop front-end WPBakery page builder. All 370 demos can be installed in just one click, are 100% customizable, and are all included in the $59 price. If you can’t decide on one demo, features from different demos can also be combined to ensure your site reflects your niche and branding. With this collection of creative concepts, you are bound to find the right layouts for your website. Bridge offers a highly intuitive and fun design experience for its users. Its easy to use admin interface allows you to quickly customize your website, whether this is to add sliders to pages, display images in posts, or embed parallax sections across your site, to name a few options. The popular WordPress page builder plugin, WPBakery (formerly known as Visual Composer), is included as part of the Bridge package. 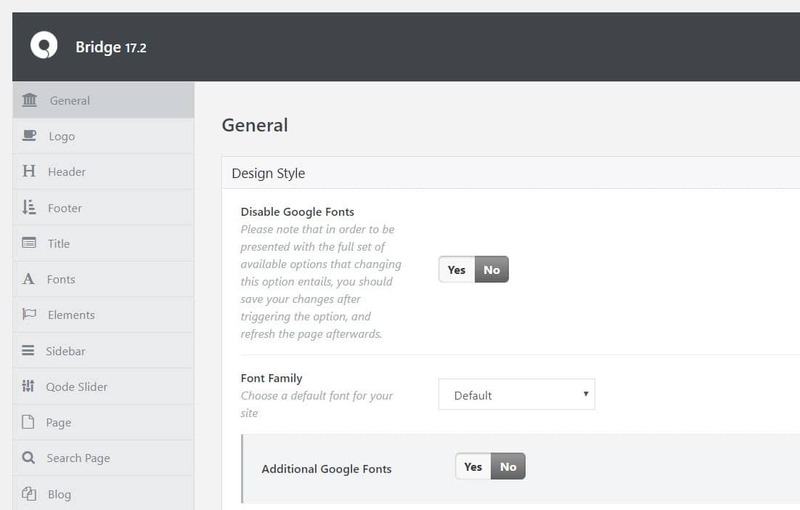 This impressive plugin allows you to design your pages and posts on the front end. Simply drag and drop design elements around the page to create a beautiful and professional website. Magazine Module – Create your news or magazine site using the Magazine module shortcodes, enabling you to display posts in beautiful news and magazine-style layouts. Listing Module – Add listing functionality to your directory site with the Bridge listing module. 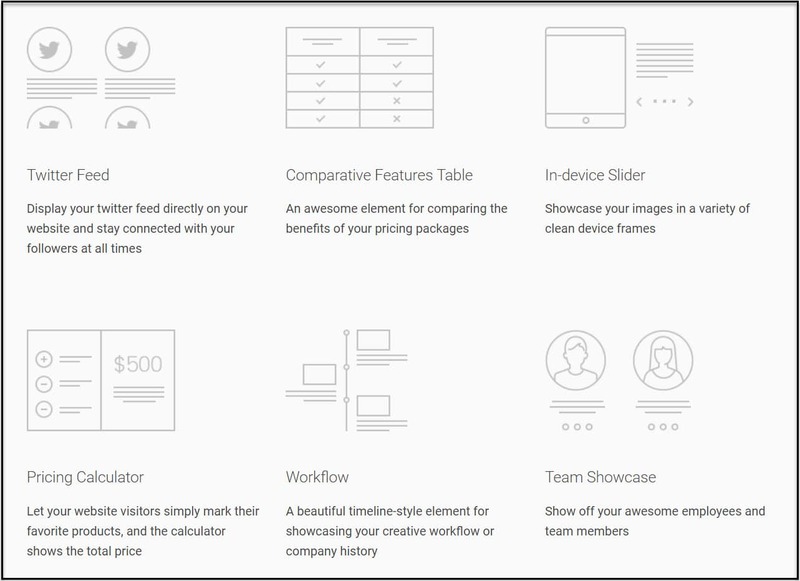 Features include a listing post type, listing shortcodes, and more. Restaurant Module – Design a stunning website for your restaurant or cafe. Create and display a menu, share your opening hours, allow customers to book a table with you online via OpenTable, and much more. Membership Module – Add front-end functionality to your website with the Bridge membership module. Activating this module will enable users to create their own accounts on your site, or log into your site via their social network profiles, helping to turn your website into a fully-fledged membership site. As you can see, Bridge is a flexible multi-purpose theme, with extensive ‘extras’ to cater for all its users. Bridge offers a library of beautiful and optimized elements that can be drag and dropped onto a page or added via shortcodes. There are also a number of interactive elements including horizontal progress bars, pie charts, graphs, elements with animations, and much more. Slider Revolution (worth $26 but included for free) – This responsive slider plugin will enable you to display beautiful images in a stylish, attention-grabbing manner. LayerSlider (worth $22 but included for free) – Create full-width sliders with stunning effects. Timetable Responsive View (worth $22 but included for free) – Quickly create beautiful timetables for events, classes, and more. Bridge also integrates with WooCommerce, enabling you to turn your shop demo into a fully functioning profitable eCommerce store. Bridge comes with extensive support material, including video tutorials to help you install the theme and your chosen demo content. If you need to speak to the experts, just submit a ticket to the support forum and one of the Bridge support team will get back to you. One-Page Site – Easily create a one-page site by adding one-page navigation to your homepage. Qode Slider – Display full-screen video and image sliders on any page. 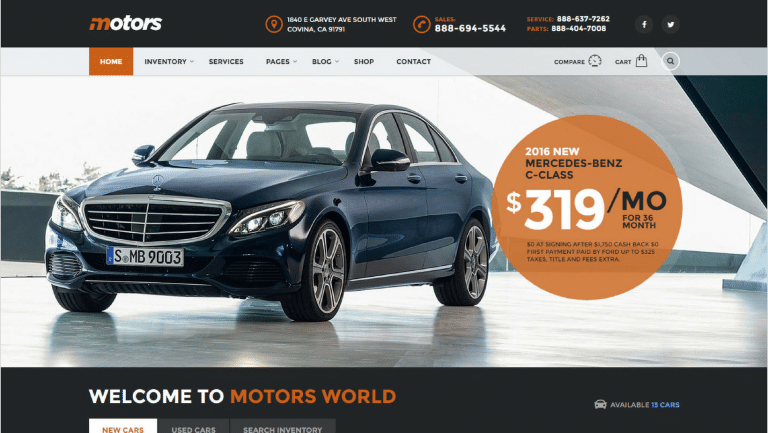 Qode Carousel – Add a full-width carousel slider to your website. Perfect for displaying testimonials, clients, or other attention-grabbing details. Qode Search Field – Enable a search function to be displayed on your website. Section Video Background – Add full-width video backgrounds to specific page sections. Mega Menu – Display a fully customizable mega menu on your website, with submenus, icons, and more. Other menu options include a left-hand side menu bar or a full-screen menu. Customizable Headers – Choose from a fixed header or a sticky header displayed at either the top or the bottom of the page. Parallax Pages – Create parallax pages, perfect for a homepage, one-page site, or other situation, to help engage your audience. Landing Page – Use the Bridge landing page template to help your site convert against its goals. SEO – Bridge is responsive, skillfully coded in HTML5, CCS3, and jQuery, and fully optimized for the search engines, ensuring pages and posts are quickly and easily indexed. Auto Update – Use the Envato Toolkit to keep bridge automatically updated. Evidently, Bridge has all the features and tools that a modern WordPress theme needs, as well as numerous category-specific features, making it an ideal choice if you are looking for a stylish and fully functioning multipurpose theme. Bridge can be purchased from ThemeForest for just $59. This includes all future updates and six months support from Qode. You can also extend this support to a total of twelve months for just an extra $17.63. Whatever your niche or industry, Bridge can cater for your needs. Its wide assortment of demos, and numerous customization options ensure that creating a new website is a quick and easy process. And importantly, if you build your site with Bridge, you can not only design a beautiful and professional website, but also a unique one that reflects your brand. Are you ready to install the Bridge WordPress Theme on your website? Check out this impressive theme on ThemeForest. Are you sure about this: “access to the effective drag and drop front-end WPBakery page builder. ?” To the best of my knowledge, most Bridge features don’t work in the front-end builder and therefore Bridge disabled it by default. and thanks for this comment. 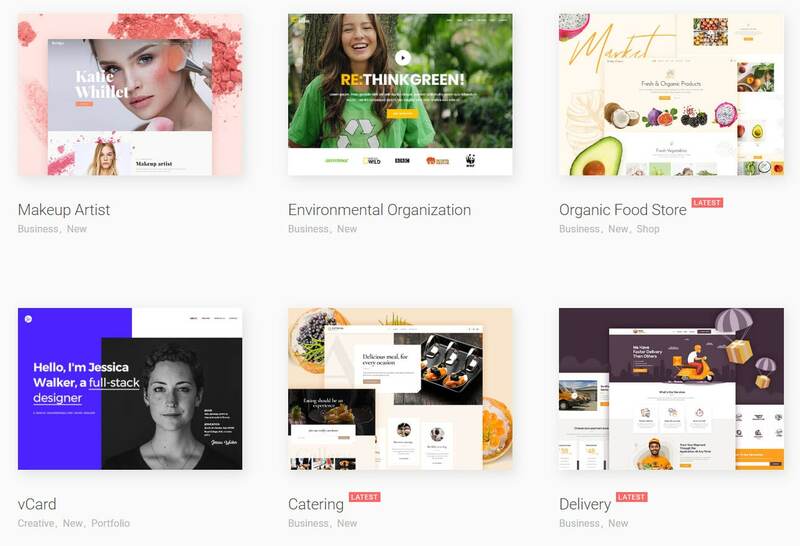 Our theme comes with powerful and flexible WPbakery page builder plugin that lets you create almost any page layout that you want. It’s interface utilizes drag&drop functionality so you can build your pages without any programming knowledge. This feature is availalbe in both editors (backend/frontend).